Hi babes! As many of you may have noticed I’m THE Halloween Queen. Not only do I have a deep love for this holiday but also entertaining. 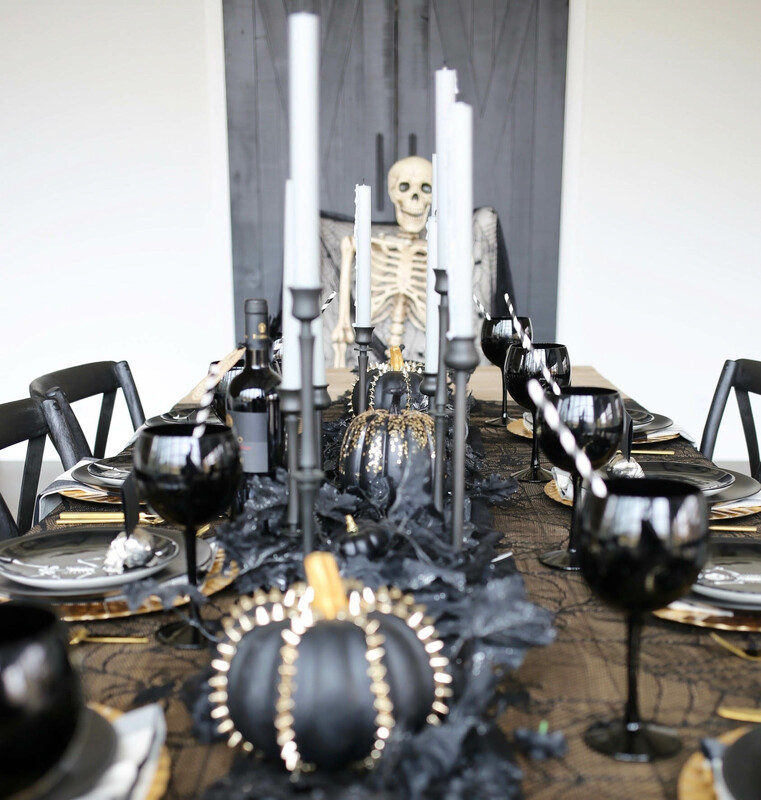 I couldn’t miss putting together an epic tablescape this year. I used items I purchased throughout the years and paired them with some new festive gems. First things first when creating a table – the centerpiece! I started by placing a sheer web fabric on the table. 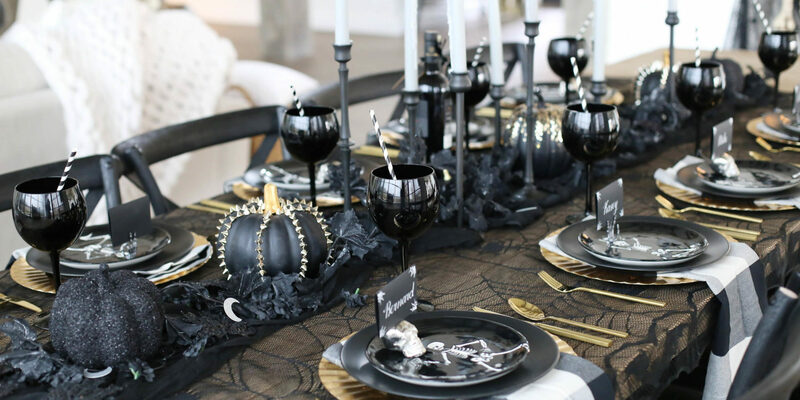 The tablecloth is the first thing to go down, and it creates a festive look while adding texture to the table. I then took a few pieces of black cloth and set it in the middle of the table – lengthwise. This forms a bit of volume, specifics the center of the table and is where I began to place my decorations. 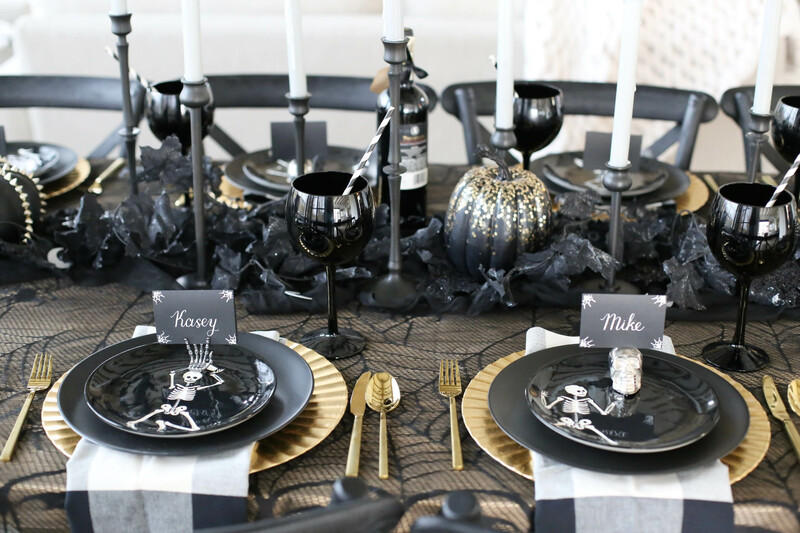 I styled out the centerpiece with my black everyday iron candle holders and added in black pumpkins, black flowers, and metallic moons. As I mentioned some of my decor is old, but I’ll link similar items below! 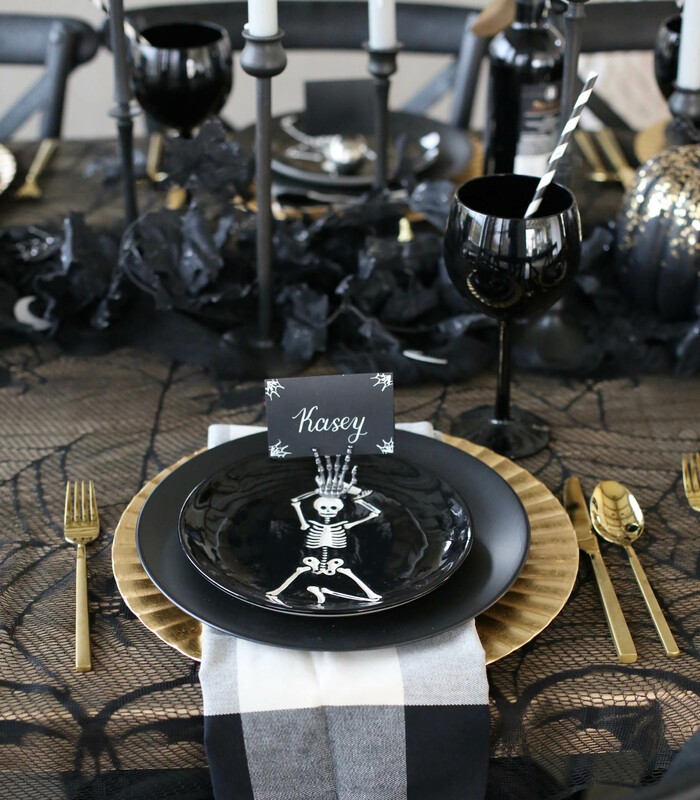 Next up, it was time to set the table with a fun place setting. I started out by using gold chargers, flatware and black dinner plates that I use all the time. 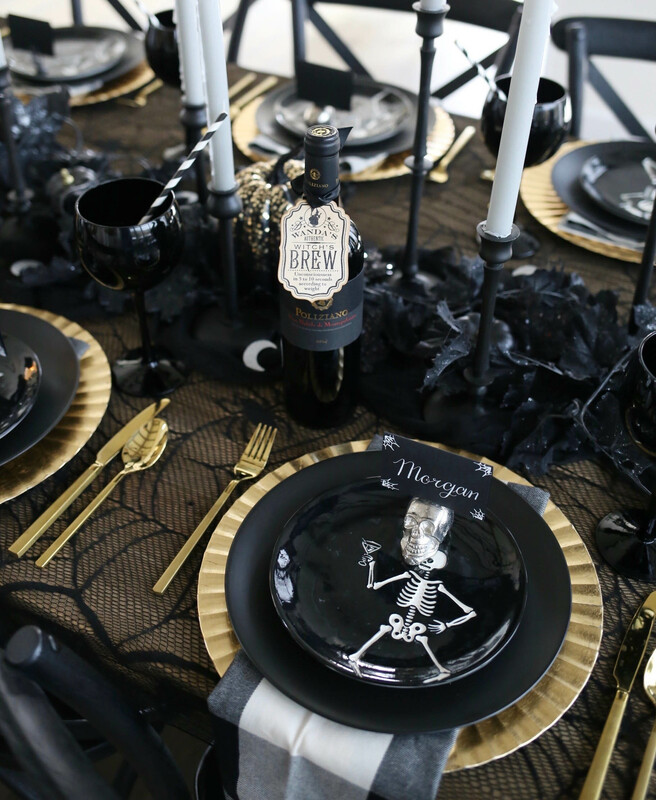 For a more festive look, I added in checked napkins, small skeleton plates, skull and/or hand name card holders and name tags. Many of y’all have asked me about my skeleton plates on Instagram and unfortunately they are from a past year and sold out. No need to worry, I’ve found a few similar options: here and here. 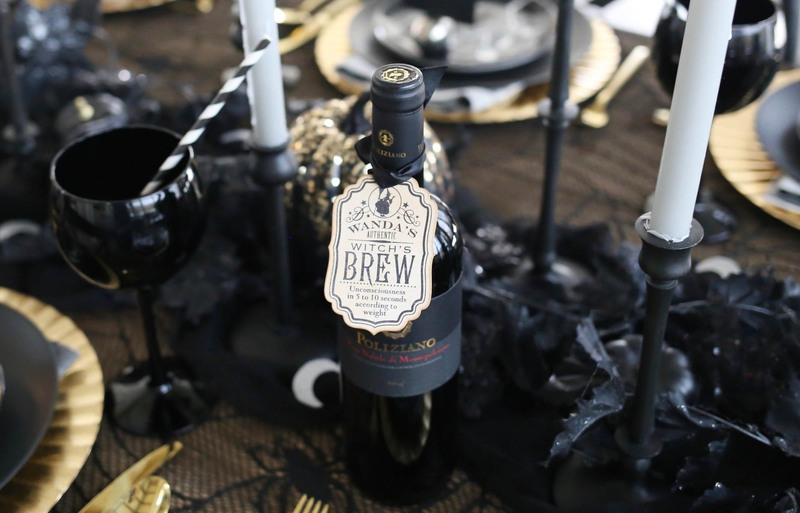 If you’re wanting to take your dinner party to the next level, get name tags made. Etsy is where it’s at, boos! 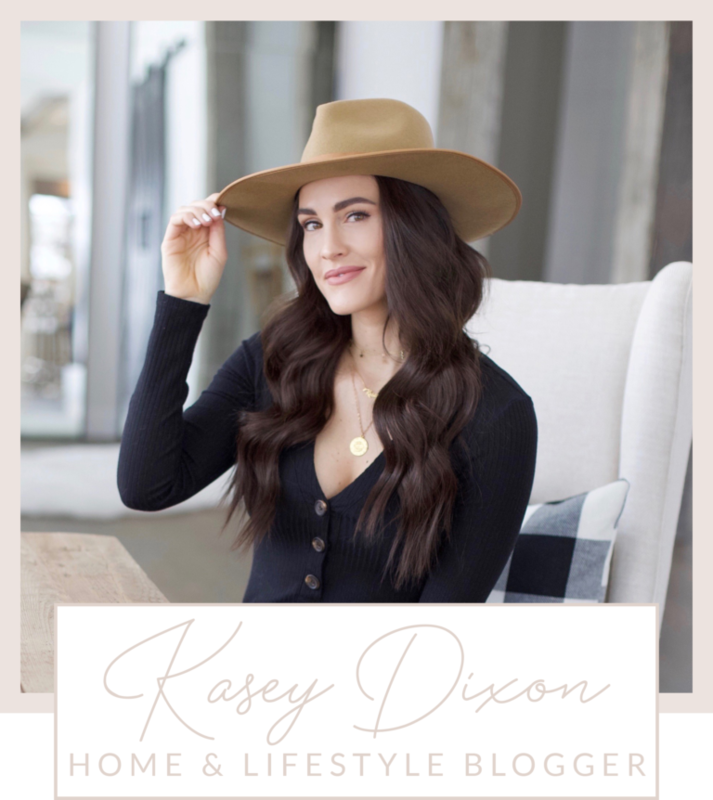 I have found SO many decorations and entertaining items on their site. These place cards are from this vendor – easy and cheap! 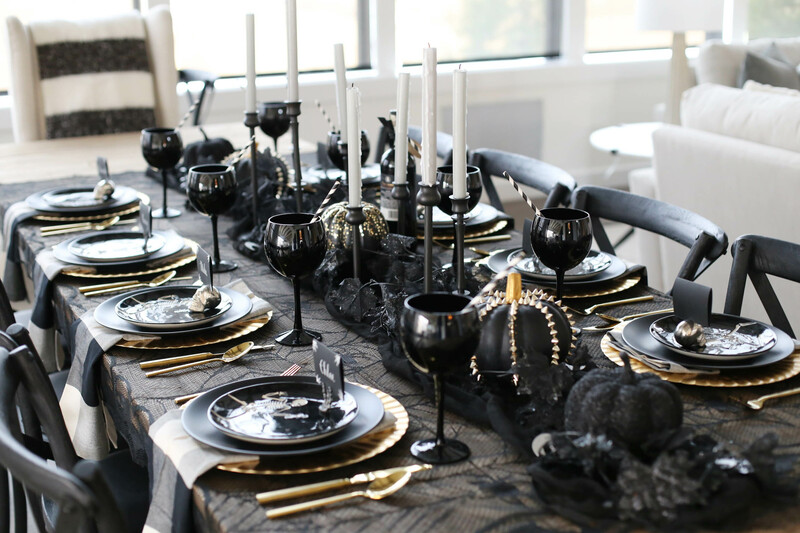 The final touch to the table is the black goblets (wine glasses). Aren’t they just amazing!! I found them last year on Etsy and they are everythaaaaang! Very Game of Thrones meets Hocus Pocus. My tablescape would not be complete without them! Now, who’s coming over?? Muhahahaha! 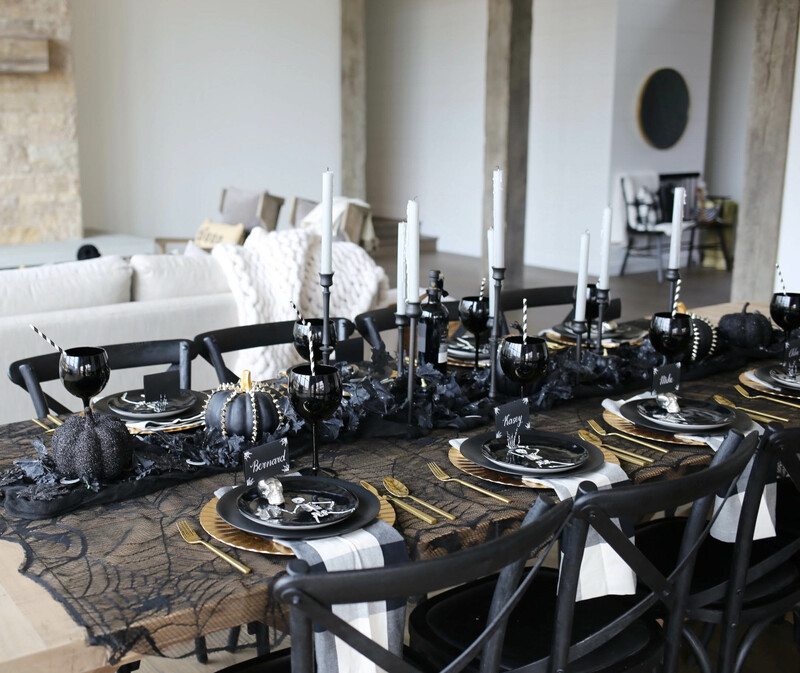 Shop all the tablescape deets below! 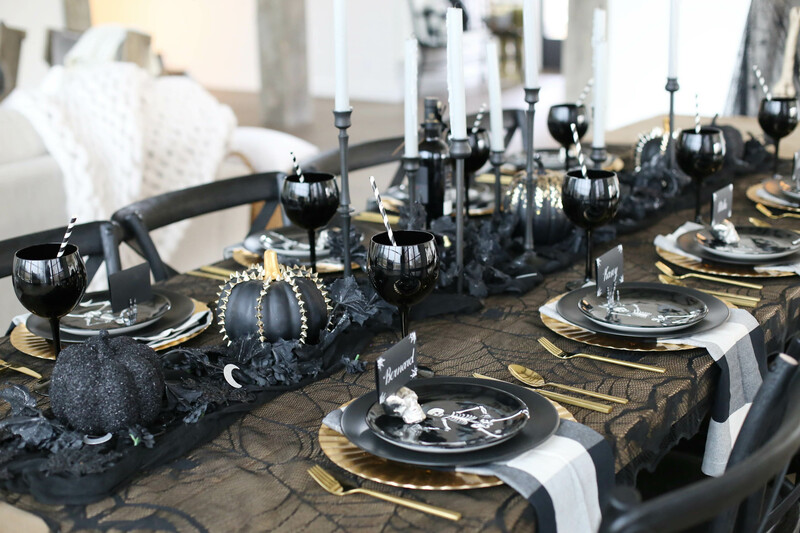 Share the post "Black & Metallic Halloween Tablescape"
Girl, you are the Halloween QUEEN! I’m getting so much spooky inspo from you and I couldn’t love it more! !